Joint statement by the Brexit Steering Group on reports that the UK Home Office is considering processing applications for "settled status" by EU citizens on an alphabetical basis. In their resolutions, MEPs have repeatedly stressed the importance of securing equal and fair treatment for EU citizens living in the UK and British citizens living in the EU. Parliament as a whole will have the final say on the outcome of negotiations when it votes to approve or reject the withdrawal deal, to be finalised in the autumn. 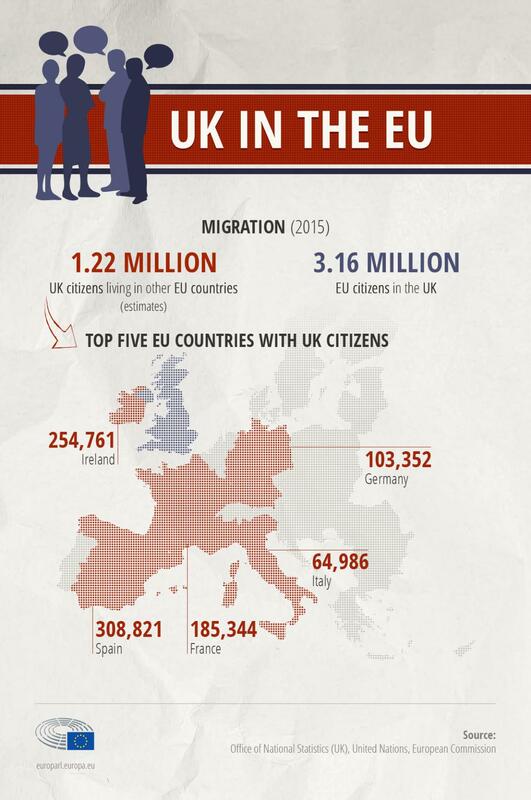 Infographic: "UK in the EU"